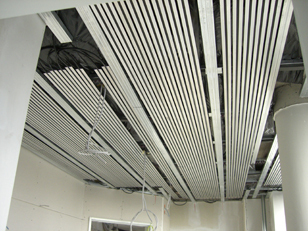 The tube system can be used in combination with perforated and imperforated gypsum plasterboards. This system is distinguished by its high flexibility. 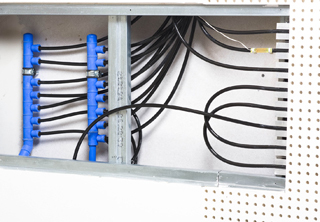 In addition, the tubing that is used by S&L is oxygen resistant according to DIN 4726. 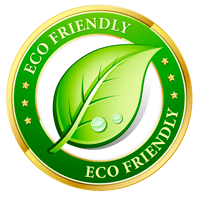 Areas of application for this system are office and public buildings and hotels. 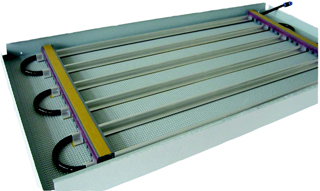 The single-tube contact cooling and heating system is suitable for use in combination with perforated and imperforated plasterboards from different manufactures, for producing radiant cooling and heating ceilings. The Single-Ultra-System is intended for use in industrial as well as in single-family and apartment houses. 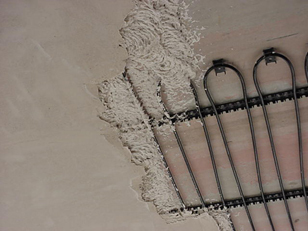 By embedding the system into the ceiling plaster, the thermal storage capacity of the component is exploited. 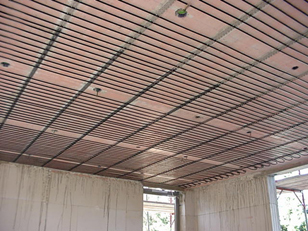 The Single-Meta-System is a contact-cooling and ceiling heating system that operates primarily according to the principle of radiation and is characterized by a variety of application and design possibilities.